Based on reviews from 386 experts and 9,072 users. Learn how our rankings work or see our guide to Nike basketball shoes. Updated Apr 2019. Originally founded as Blue Ribbon Ribbon Sports by University of Oregon track and field coach Bill Bowerman and his then runner Phil Knight, the Swoosh started out as a distributions partner of Japanese-made Onitsuka Tiger. On May 30, 1971, after 7 years of successful sales, the company was renamed and registered as Nike, Inc. In the same year, the company launched its own line of original Nike shoes. Nearly half a decade later, what started out as meetups at track events evolved into what we know now as one of the top sporting goods company. It takes a lot of skill and heart to capture the attention of industry giant Nike. Currently, the sports company has four active players in their roster with massive contracts and signature shoe lines. Year after year, the company continues to release their shoes with their own unique stories and technologies to support the athletes’ play styles. Quite simply, LeBron Raymone James is currently the most famous basketball player in the world. Millions of adoring fans refer to him by his three nicknames: "Lebron,", "LBJ", and "The King". He has won three NBA championships, four NBA Most Valuable Player Awards, three NBA Finals MVP Awards, two Olympic gold medals, an NBA scoring title, and the NBA Rookie of the Year Award. As a kid born in Akron, Ohio, he has faced tremendous hype and pressure since his high school days, when he was featured in Sports Illustrated and was dubbed "The Chosen One". But he surely did not disappoint. He is now considered one of the Top 5 Greatest Players of All Time, along with the legendary Michael Jordan, Magic Johnson, Wilt Chamberlain, and Kareem Abdul-Jabbar (most fans even rate him as high as Top 2, right behind the GOAT, Michael Jordan). He has dazzled casual fans, critics, and pundits alike with his raw power, athleticism, and court vision. He is simply "multi-faceted". He is elite in many aspects of the game. Whether it be scoring, passing, defending, or rebounding the ball; he can do it all. 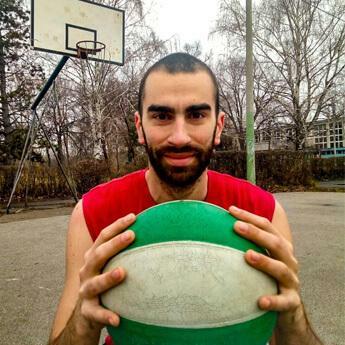 Many questioned his leadership and shooting skills when he first entered the league. After all, he didn't get to develop his jumper in his prep and high school days. With the body of a linebacker and the speed that is superior to other players’, he could bulldoze his way to the rim with relative ease, earning him the description "freight train". But he hasn't stopped honing his craft and improving every year. The 2017-2018 season has been his most efficient year, shooting-wise. Before, defenders would give him some space, daring him to shoot instead of allowing him easy drives towards the rim. But in today's game, he very well can casually bury a jumper in his face if the jumper tries the previous approach. Presented in the subsections below are some of the most iconic LeBron shoes Nike has ever released. Drafted No. 1 by the Cleveland Cavaliers upon entering the NBA, LJ already had a $90 million dollar contract and a signature line waiting for him at Nike. Popularly known as LeBron James' first signature shoe, the Nike Zoom Generation is considered by shoe testers and wearers to be the greatest model the line of high-performing Nike LeBron shoes. The shoe was designed by three prominent designers in the footwear industry namely, Tinker Hatfield, Eric Avar, and Aaron Cooper. The silhouette of the shoe was inspired by a military boot, as LeBron James is considered as the modern day soldier, and the Hummer H2 that Lebron's mother gave him for his 18th birthday. 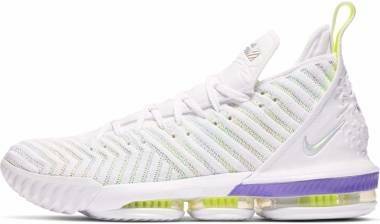 When asked by one of the designers what he considers as the most important performance factor on court, LJ replied "comfort", and the designers set out to create the most comfortable shoes for Lebron. To this day, LeBron still considers the shoe to be the most precious one among all the Nike basketball shoes in his closet. Like many Nike LeBron James shoes, the Nike Air Zoom Generation features a herringbone traction pattern on the outsole and a carbon shank on the midfoot for torsional support. The thick Phylon midsole houses a Zoom Air unit in the forefoot and an encapsulated Air Bag in the heel. 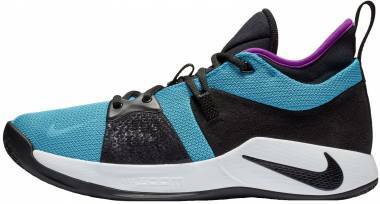 The upper is a combination of synthetic leather and ballistic mesh, with a stiff external TPU heel counter that cups the heel. The shoe features Hummer-like details such as the silver lining on the forefoot upper and the reflective chrome heel counter that are reminiscent of car parts. 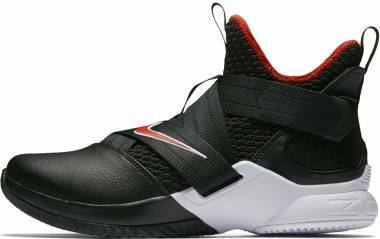 The Nike Air Zoom Generation's cushioning and inner bootie provide the needed comfort for a big man like Lebron, so does the impact protective heel air unit. Fit and foot containment are both top-notch as lockdown is needed to complement Lebron's style of play. Although created initially as a basketball shoe, the Nike Air Zoom Generation is more worn as Nike sneakers than an on-court performance shoe. LeBron is well-known as a polarizing figure. He has millions of fans, but he has a lot of critics as well. His most divisive act came on July 8, 2010, otherwise known as “The Decision”. On national TV, he broke the hearts of everyone from Cleveland when he announced that he would team up with his two friends Dwyane Wade and Chris Bosh in Miami. The Nike LeBron 8s were the Nike shoes released right after LJ left for Miami Heat, with “South Beach” as its most famous colorway. The shoe model features an overlapped herringbone traction pattern on the outsole. Sandwiched between the Phylon midsole is a 360 Air Max Bag unit that provides impact protection. Even if the shoe is high off the ground, the Air unit provides a springy responsiveness to the feet. The upper is constructed with a combination of suede and synthetic leather. The shoe is heavily padded and conforms to the shape of the foot after a few wears. The highlight of the LeBron VIII is its one-to-one fit and cushioned comfort, both of which are important for LeBron James’ fast and heavy style of play. Most athletes who are at LeBron’s age start to show the effects of wear and tear from the previous seasons and accumulated minutes playing the game. But at 33, and in his 14th season, LJ is showing no signs of slowing down. On the contrary, he has significantly upped all his shooting percentages, especially his three-point percentage. This is what separates the great ones from the ordinary players; they never stop improving and working on their game. Likewise, LeBron’s shoe line shows no signs of stopping. With a second signature line called the “Soldier” series, the collection focuses more on removing the bulk that is usually associated with LeBron’s shoes, making them lighter and more responsive. This line is also priced differently, and the releases are considered team Nike basketball shoes. 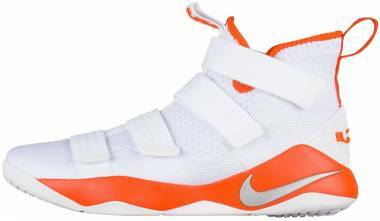 Released in June 2016, the Nike LeBron Soldier 10 goes laceless, challenging the norm not only for LeBron James shoes but also for basketball shoes in general. Relying on just 3 straps–an ankle, midfoot, and forefoot strap–foot containment is astonishingly effective. Outsole rubber compound is made of durable rubber, fit for outdoors; while within the Phylon midsole are two Zoom units, a massive on in the heel and a regular-sized one on the forefoot. Upper is an uncomplicated one piece bootie and is made of Mesh and breathable Foam layer. Instead of wearing the LeBron 13, James preferred a lighter shoe and wore the Soldier 10 post-season as he carried the Cavaliers and the state of Ohio into championship glory. He averaged 29.7 points, 11.3 rebounds, 8.9 assists, 2.6 steals and 2.3 blocks per game will wearing the Soldier 10, and was named the Finals MVP. Kevin Wayne Durant, or most commonly known as "KD" by his millions of fans, is a Rookie of the Year, a multi-time All-Star, a league and Finals MVP, and most recently, an NBA Champion. He is the perfect blend of size, skill, and athleticism. He was drafted second overall in the 2007 NBA draft, behind Greg Oden. He started his NBA career playing for the then Seattle Supersonics. He earned many comparisons to Carmelo Anthony and Tracy McGrady when he first entered the league because of his effortless way of shooting. He is considered one of the best, if not really the best, offensive players in the game. Standing 6'11", he is a tough cover for anyone with his unique blend of height, speed, and skill. What makes him even tougher to guard is his shooting efficiency. He has reached the hallowed "50-40-90 Club" numerous times in his career. For those of you who are not familiar with the term, 50-40-90 refers to the two-point, three-point, and free-throw percentages which the players aim to hit. If you would ask current players who are the hardest players to guard, he always features in the Top 3, along with an interchangeable mix of Stephen Curry, James Harden, LeBron James, Carmelo Anthony, and Russell Westbrook. Durant keeps getting better every year, as evidenced by him now being considered as one of the front-runners for the Defensive Player of the Year title. He currently leads the league in blocks, and he has learned to use his height, timing, and speed to harass whoever is unlucky enough to be guarded by him. His game is now more well-rounded and complete. To honor his continuing on-court legacy, Nike launched a signature line for Kevin Durant. 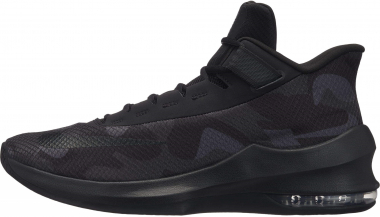 Three of the most popular KD shoes are covered in the subsections below. 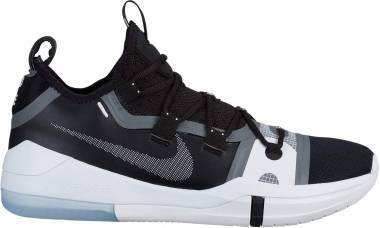 Hailed as one of the top Nike basketball shoes at that time, the KD 7 is a well-rounded shoe that leaves little to criticize from outsole to upper. The clear highlight of the shoe is its uniquely patterned traction that takes its form from a pressure map. Testers and wearers alike agree that the shoe grips like glue outdoors and indoors with no signs of wearing and tearing after hours of use. There are also no complaints on the cushioning, where a Max Zoom unit, an 8mm Zoom, is embedded in the heel and forefoot. The shoes’ upper is another story. Its support, great fit, and flexibility are a result of the collaborative combination of Hyperposite in the rearfoot and layered mesh and Flywire from the midfoot to the forefoot. 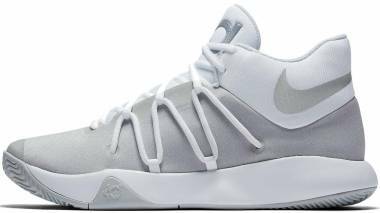 For this model, Leo Chang, Nike lead designer for KD basketball shoes, incorporated a midfoot strap into the aesthetic. His primary objective for the shoe was to provide Durant with not only point-guard level quickness and forefoot flexibility but also power forward stability and support. The KD7 also features a midfoot shank that is formed to emulate the bones on the midfoot. Kevin Durant aspired to be a meteorologist when he was younger, and the KD7 took inspiration from this. The colorways of the first set of releases represented various weather themes. Likewise, other small details are scattered into the shoe to feature the basketball superstar’s personal effects. On the shoe’s outsole is an embossed map of Maryland, Durant’s home state. On the midfoot strap are the names of his family’s members. On the tip of the forefoot is an embossed lightning bolt. 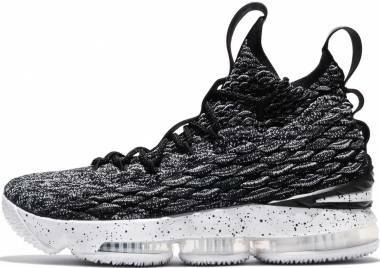 Still designed by Nike footwear designer Leo Chang, the KD 9 is a very well thought-out shoe that delves deep into Kevin Durant’s roots and background, before he became the basketball superstar that he is now. Specifically requested by Durant, the upper is created with a combination of mesh and Nike Flyknit. From an interview he mentioned how he loves the way that the material felt on his foot, comfortable and not at all restrictive. Preferring the broken-in feel, Durant is known to wear his Nike basketball shoes for a whole month–which is not so common for professional athletes since they are encouraged to change up their shoe every week. But with the KD 9, since they already feel broken-in straight from the box, Durant might just wear a new one everyday. The KD 9’s traction pattern in of a honeycomb shape. 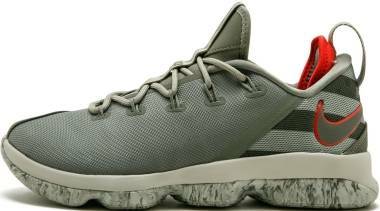 Directly on top of the outsole is a full-length Zoom unit, catered to fit Durant’s preferences. 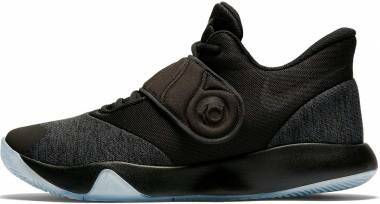 This pair of KD shoes sports a one-bootie construction with hexagon shapes on the upper, similar to the shapes on the outsole. Similar to what happened with his rival LeBron James, a significant event happened right after the release of the KD 9. Durant attracted a lot of heat when he announced on July 4, 2016 that he would join the Golden State Warriors. Many people were irked by this decision primarily because it was the Warriors that eliminated his team from the playoffs. Many questioned his lack of heart and leadership, saying he joined them because he realized that he couldn't beat them. But no one could deny that this dramatically altered the landscape of the league. In today's game, it seems like all the other teams are trying catch up with the high-powered Warriors. He has fit seamlessly in the team; he even helped in leading them to the NBA championship in their first year together, which culminated with him winning the Finals MVP title. Shortly after Kevin Durant entered into the NBA, he was also signed to Nike with a $60 million deal and a signature shoe line. 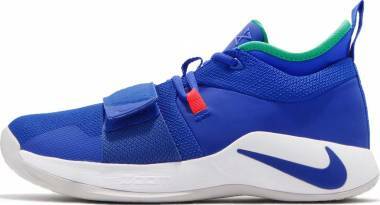 Ten years later and a contract extension, the tenth in the growing line of KD shoes comes out, achieving yet another milestone for Durant and his relationship with Nike. Inspired by the Nike Flyknit Racer, the Zoom KDX continues to push the boundaries of Nike’s technology by applying a full Flyknit upper that have differing tensile stretch and rigidity on parts of the shoe that need foot support and flexibility. The shoe also utilizes a unique lacing system that starts from the midsole, securely clasping the foot when tightened. Below the molded Phylon midsole is a full-length Zoom that is reminiscent of the previous model’s, but just a tad bit firmer. Finally, the traction employs concentric circles that work well on outdoor courts and very clean indoor courts. Kobe Bean Bryant, though retired, is still an influential figure in basketball. He spent his entire 20-year career playing for one team, the Los Angeles Lakers. He is one of the few players who entered the NBA directly from high school, paving the way for stars such as LeBron James and Amar'e Stoudemire to do the same. He is a 5-time NBA champion and 18-time All-Star. He also won the NBA Most Valuable Player award and ranks third on the league's all-time regular season scoring list. He holds the record of having the second most points in a single game after scoring 81 points during a regular season game against Toronto in 2006. Kobe is widely regarded as one of the best players of all time, and just behind Michael Jordan as the best shooting guard of all time. It isn't surprising to know that Jordan was his idol growing up. He basically modeled all his moves from Jordan. There are countless clips on the internet of side-by-side comparisons of Jordan's and Kobe's moves. Kobe is known as a fierce competitor and a scoring machine. In his younger years, he was a high-flyer too, winning the Slam Dunk competition in 1997. His combination of shooting, athleticism, and superb footwork made him a tough cover for anyone. What makes him more difficult to get past through is that fact that at the bottom line, he hates, or dare we say, refuses to lose. You could never count out Kobe, especially during a marquee matchup with a heated rival. His career culminated on April 13, 2016, with what could be the best fairy tale ending in the history of sports. He caught fire in the fourth quarter against the Utah Jazz, outscoring the entire Jazz team 23-21 and most importantly, leading the Lakers to a 101-96 victory, scoring 60 points in the process. Given all that, it is not a surprise that Nike sees so much value in him, enough for them to release a signature line in his honor. 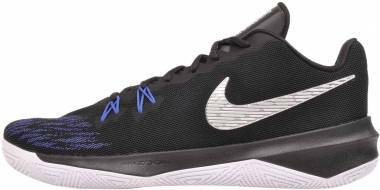 Some of the fired-up Kobe shoes are featured in the subsections below. 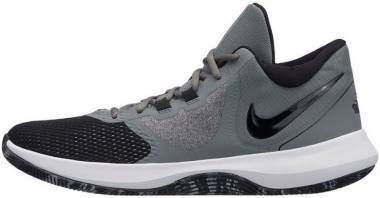 The Nike Zoom Kobe IV is well known to have changed the landscape of the basketball shoe industry by mainstreaming low-top shoes into the league. Before its time, the shoe game was dominated by high and thickly padded shoes that it rarely occurred to players and designers to bring the the low-top into the basketball court. Bryant’s constant quest for challenge and innovation brought about change in the industry. Players loved how the Kobe 4s felt – lightweight, gave a free range of movement, and performed just as great as a high-top. Kobe Bryant, who was already one of the top NBA players in the league helped normalize its use. 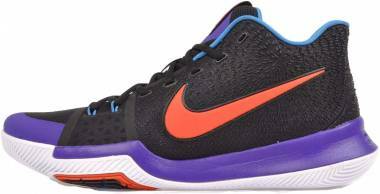 Nowadays, most players prefer to play in low-tops thanks to Kobe Bryant, Eric Avar and the Nike Zoom Kobe IV. 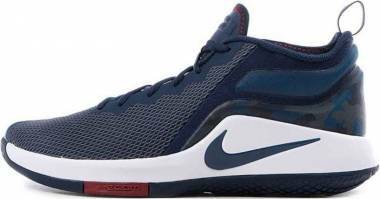 For the shoe’s specifications, a multidirectional herringbone pattern is utilized on the Kobe 4’s outsole. The midsole houses a Zoom unit in the heel, surrounded by Lunarlite Foam. The only thing that users complain about is how fast the foam bottoms out. However, this complaint will easily be unheard of in the sea of praises for this shoe. Following the success of the previous model of Kobe basketball shoes, Kobe Bryant and Eric Avar were ready to level up. Multiple tweaks were done to the shoe to make it even lower and lighter. Bryant, however, is quick to comment that they did not apply these changes just for the sake of trying to top their previous work, but in order to achieve the best functionality for the player. Some users were shocked at how fast Bryant’s team made Nike shoes as successful as the Kobe 4s look and feel outdated. 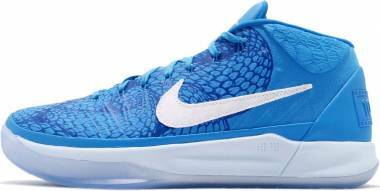 The Nike Zoom Kobe V employed a storytelling traction pattern. Shaped like a heart, Kobe says that it represents the “heart” or will to win. The traction pattern used less rubber and was able to shave off a few ounces from the weight of the shoe. The shoe’s midsole, instead of being fully Lunarfoam was replaced with two Zoom cushions - one in the heel and the other under the ball of the foot. These placements make the shoe great for guards and centers. The upper is constructed with a Flywire-infused synthetic material called Skinwire. Taking inspiration from soccer shoes, one element that made the shoe reputable is the external TPU heel counter that clasped and held the player’s ankle in place ensuring a one to one, glove-like fit. Although it had its own flaws such as the shoe’s not-so grippy traction, the Kobe V was considered one of the top Nike basketballs shoes of its time and worked hand in hand or foot in foot rather, with Kobe into the 2010 NBA Finals where the Los Angeles Lakers won and Kobe was awarded his second MVP Finals award. Contrary to the low-top designs that the previous Kobe shoes have had, the Kobe 9 Elite is another game-changer. It once again challenges the norm by going high, really high, akin to boxing boots. At $225, the shoe features a type of Flyknit that according to main designer Eric Avar is specifically engineered for this shoe. The material is composed of several different types of fibers, traditional and stretchy and are placed in strategic parts of the shoe to provide flexibility and support. Flywire is also weaved into the upper for extra support and lockdown. Carbon fiber is used as external heel wings that clasp the heel from the sides. These plates extend into the midfoot to provide lateral and medial support. A drop-in Lunarlon midsole is used to provide responsive cushioning to the feet. The shoe’s traction pattern effectively maps out the foot’s pressure points. Oddly enough, the pattern works really great and is considered to be at par with other Nike basketball shoes that have top performing traction systems such as the Air Penny 5 and the Air Jordan XX8. Coincidentally, when the Kobe 9 Elite was released on December 4, 2013, Bryant was recovering from a torn Achilles heel. Avar chose to include personal details into the shoe that represent that injury by adding nine red lines into the Flyknit collar. Kyrie Andrew Irving is an NBA champion, a four-time NBA All-Star, and a Rookie of the Year. He was drafted through the first pick by the Cleveland Cavaliers in the 2011 NBA draft. He is a scoring dynamo, combining his shooting, sick handles, and unstoppable crossovers to score in any way that he wants. He has been compared to the great Allen Iverson because of his high-volume scoring. When Kyrie plays, it seems like he has the ball on a string. He frequently produces highlight-reel-worthy plays because of how he confuses his defender and makes him look foolish when guarding him. Pepsi even featured him in their commercials disguised as Uncle Drew, an old man who wows the crowd and the opposition with his basketball moves. Kyrie is also known because of his clutch gene. With the game on the line, there are only a few players who could take the last shot other than Kyrie. He almost always delivers, as evidenced by his Finals-winning shot over the Golden State Warriors in 2016. The Cavaliers needed a bucket, and he got the job done. Just another day at work for Uncle Drew. At the start of the 2017 season, Kyrie chose to get out of Lebron's shadow and lead his own team. He currently plays for the Boston Celtics, and this change has required a more active leadership role and defensive improvements from him. Judging from his past accolades and accomplishments, it wouldn't be surprising to see him excel and exceed expectations. 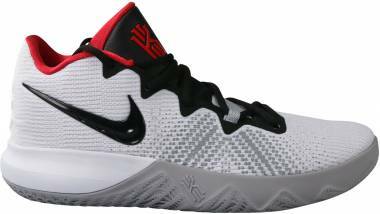 Nike’s line of Kyrie Irving shoes was born in December 2014. The subsequent subsections shed light on a few of this line’s signature releases. When they step into Kyrie Irving shoes, people realize that the all-star basketball player’s feet are legendary. The shoes are low to the ground with an upper that conforms to the foot. Its amazing traction allows the wearer to stop on a dime. Its overall structure supports quick and agile movements. Indeed, the Kyrie 2 really delivers what Irving needs when he is weaving through the court. With that, it does not surprise that not everyone can relate to Kyrie’s feet. Many complain that the Kyrie 2’s stiff cushioning are uncomfortable and that the shoes are quite narrow. But this only shows that not everyone can step into Kyrie Irving’s Nike basketball shoes. As for players who can, majority of them definitely enjoy playing in the Kyrie 2s. The shoe’s rounded midsole is inspired by motorcycle wheels that have the ability to grip into the surface no matter how low the angle is. While the heel-to-midfoot strap takes inspiration from the stabilizing ligaments on the foot. When showed pictures of him playing on court, Kyrie Irving is shocked and amazed at the angles of his foot. The challenge in designing the third of the Kyrie Irving shoes was to develop technologies that could support his out-of-the-ordinary footwork. 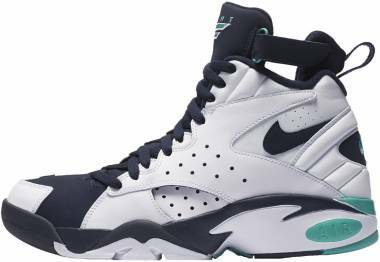 This meant that the Nike team had to maximize traction power, retain the rounded geometry of the midsole, and enhance the secure but comfortable lockdown of the shoe. All of which were accomplished with the Kyrie 3. Although small changes were brought into the next iteration, the effects were felt and paid off as Kyrie Irving assisted the Cavaliers into the 2017 NBA Finals. 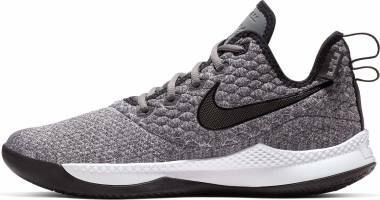 The Kyrie 3 features an aggressive herringbone pattern on the outsole with two multidirectional pods on both the lateral and medial side of the forefoot. 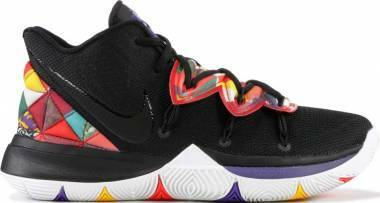 The pattern rides up into the midsole for grips that suit Kyrie’s near to the ground angles. For responsive cushioning, a Zoom unit is found on the heel. The upper boasts of a snug fit that completely hugs the feet when the laces are tightened. A sweet added feature is the Flywire reinforced foam on the forefoot that gives flexibility when the player is on his toes. Paul George, or "PG" as he's fondly called by his die-hard fans, is a four-time NBA All-Star and was named the NBA’s Most Improved Player in 2013. He has also been named three times to the All-NBA Team and All-Defensive Team. He is one of the few true two-way players in the game, exhibiting a penchant both for scoring and for harassing opposing players on defense. George combines efficient shooting with raw athleticism to make life very hard for his defender. If we were to describe him in one word, it would be "fluid". He always seems like he gets the flow of the game. He doesn't force shots; he waits for them to come to him. He is also known as a high-flyer, even participating in the Slam Dunk Contest twice. But what earns him high praises from coaches and opposing players is his defense. If not the best, he is surely one of the best perimeter defenders in the league. His height and timing on the defensive end make it very hard for whoever he is guarding to score on him. In a one-on-one game, he can pretty much guard anybody, from guards to wings, even big men on occasion. George suffered an infamous injury in 2014 when he broke his leg while practicing for Team USA. The injury caused him to miss most of the next season. But he bounced back and re-established himself as the rightful owner of one of the stops in the upper echelons of the league in 2016. In recent times, his goals have somewhat shifted from earning individual accolades to winning his team’s first championship. It wouldn't be surprising to see him raising that NBA trophy one day. After all, Nike just released a line of Paul George shoes, an act that speaks a lot about not only his skill, drive, and confidence but also the massive support that he’s getting from fans all over the globe. On January 12, 2017, Paul George unveiled his first ever Nike basketball shoes. He wore them on court during the Indiana Pacers vs Denver Nuggets game. This was a big deal as Paul is the fourth signature player who is currently active in the league, joining the ranks of Kobe Bryant, LeBron James, Kevin Durant, and Kyrie Irving. According to Tony Hardman, the Nike PG1’s designer, it took 3 years for them to develop the shoe. Due to Paul’s knee injury back in 2014, they were able to spend more time together and get to know what the all-star player’s style, interests, and performance priorities were on-court. It was said that Paul made his own sketch of what he wanted in his Nike sneakers, which included a forefoot strap. He placed prime on comfort and fit. The PG1 uses a mix of modern and traditional materials such as fused mesh on the forefoot and nubuck on the midfoot to heel–a nod to the player’s love for retro sneakers. 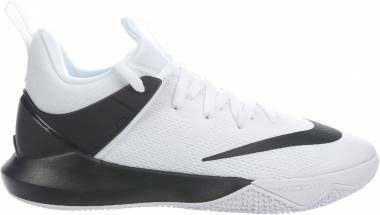 Zoom Air is embedded into the forefoot area of the midsole. On the outsoles of the Paul George shoes are fish scale-like patterns that represent the NBA player’s love for fishing. Nike not only has the best basketball players in the league within their roster, they also have the top of the line technology to support these NBA giants. Nike Kyrie 2 Traction. The Kyrie 2’s outsole features a unique pivoting center on the forefoot and clean lines that go against the player’s direction of movement. This allows the wearer to stop, go, turn left or right on command, no thinking required. The traction works indoors and outdoors. The pattern is extended into the rounded midsole in order to provide stopping power at almost all angles. Nike Kobe 9 Traction. Eric Avar, the designer of the Kobe 9 uses a pressure-mapped image of a foot on the Kobe 9’s traction pattern. This design became one of the most effective tractions on court. The shoe has a very organic feel, providing the wearer a steady grip for any type of movements. Nike Air. Debuted in the running shoe Nike Tailwind, the Nike Air technology involves filling a strong and flexible polyurethane pouch with dense gases. This pouch is then embedded into the midsole of the shoe. Upon stepping, the gas-filled pouch gives impact protection to the foot, and then springs back into shape due to the air inside. 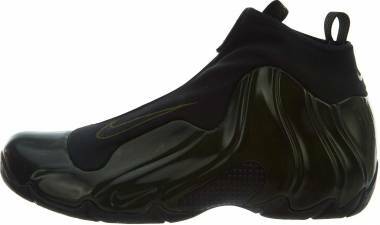 Since 1979, it has been said that the Nike Air provides better cushioning than foams because it doesn’t bottom out as fast and remains springy longer. Nike Zoom Air. Originally called Tensile Air in 1995, Zoom Air makes use of stretched tensile fibers inside a gas-filled polyurethane pouch. When the foot lands on the unit, the fibers compress and absorbs the energy. The fibers immediately spring back into its original state and returns the energy to the foot for a springy and explosive take off. The setup is super lightweight, and it keeps the foot low to the ground. Nike Flywire. Inspired by suspension cables on a bridge, the Nike Flywire is an innovation developed to support specific points on a person’s foot in a lightweight and minimalist manner. The fibers rise from the shoe’s midsole to its lace loops and back into the midsole, forming a fiber basket that wraps the foot along with the upper when the laces are tightened. The Nike LeBron XII Low and Nike React Hyperdunk 2017 Flyknit are some top Nike basketball shoes that have the Flywire technology. Nike Flyknit. Built initially with the desire to introduce sustainability into the shoe industry, the Nike Flyknit was borne out of a meticulous process. This process hit two birds with one stone, providing both a one-to-one sock-like fit and the ability to control the flexibility and rigidity of specific parts of the shoe through computer-controlled knitting. Not only does the technology deliver two performance must-haves, but it also reduces waste from left-over materials by 60% since the upper is directly knitted into the form it needs to be. The knitted polyester receives praises as a comfortable, breathable, and lightweight material that is not only fit for lifestyle footwear but also for performance footwear. Some of the top Nike Basketball shoes that feature Flyknit are the Nike KD 9 Elite and the Nike Kobe 11 Elite Low. The Swoosh releases a large number of Nike shoes for their signature athletes every year. However, not half of these signed athletes are women. Knowing that basketball is a male dominated sport, women who have also developed a love for the game will have to make do with the releases for men. Unfortunately, not all of these shoes have women’s sizes. Fortunately, something can still be done about it. If you are a woman who is planning to purchase Nike basketball shoes that do not have women’s sizes, subtract 1.5 from your current Nike shoe size, the total difference is your converted size. It is suggested, however, that you also visit your local Nike store to personally fit the desired shoe to make sure of a comfortable and snug fit. For performance footwear and streetwear sneakers, the hype is real when it comes to release dates. Limited stocks and shoes that are a must cop drive young and old to line up. There are many shoe releases every month, yet signature athletes have their own awaited release dates. 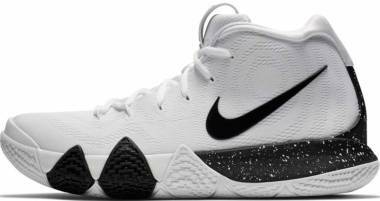 Kyrie Irving has consistently released his Nike sneakers in the month of December. The Kyrie 2, 3 and 4 also had subsequent new colorway releases right after their Yuletide debuts. 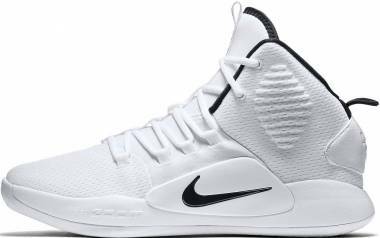 LeBron James usually releases his Nike basketball shoes like the Nike LeBron Zoom Witness during October, which is at the start of the NBA regular season. Kevin Durant debuts his signature Nike shoes usually in the month of June, which is also the same month as the NBA Finals. 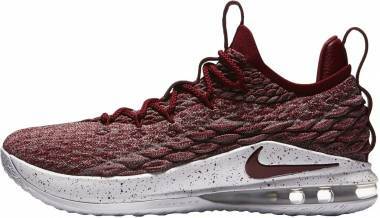 A prime example would be the Nike KD 9. Kobe Bryant after retirement, has had release dates that are hard to plot. His latest releases for his post-NBA shoe line was on November for the Nike Kobe A.D. and April for the Nike Kobe A.D. NXT. It is also important to note that the Nike basketball shoes release dates also depend on the narrative or the theme of the shoe. There are Chinese New Year colorways that are released in January or February. These months also see releases for the Black History Month (BHM). To simply put it, in order to buy cheaper Nike basketball sneakers, one should avoid buying them during the shoes’ release dates. Many would advise hoopers to buy their desired shoes right before the release of the next model when stores usually bring the shoe prices lower in order to move to the next stock. But this strategy could also prove risky as the performance shoe could be a hit and be sold out. So practice with caution. January is another good time to buy Nike basketball sneakers on sale. Shoe prices usually go lower in that month due to the increase of people who makes resolutions to be more active in the new year. Summertime on the other hand can also offer great deals due to the influx of outdoor activities. Because November is the month where people shop for gifts for Christmas, stores are also known to put Nike basketball shoes on sale to accommodate the holiday season. What was the story of Nike’s first shoe? Bill Bowerman, one of the founders of Nike, used his wife’s waffle iron to create a mold for the outsole of his athlete’s running shoes, thinking that they would do great as traction patterns. The pattern inspired Nike’s first shoe called the “Waffle Trainer” and was released on 1974. I don’t like the colorway options. Is there anything I can do to change it? Nike has their own customization platform called the NikeID where customers can create unique designs and colorways for their Nike shoes. Although most commonly available online through the NikeID website, there are also NikeID studios present in specific countries.